We're not resting on our laurels here at SuperPhillip Central. No, immediately into March we're leaping into our first review! 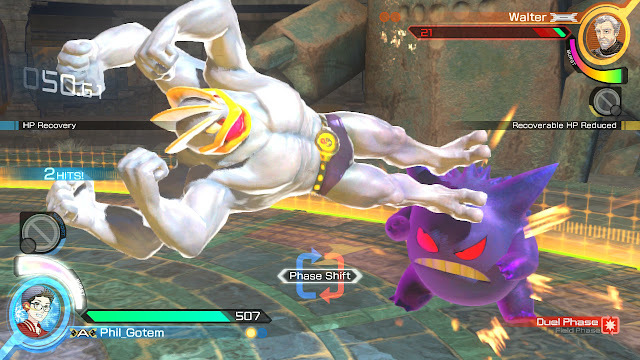 Pokken Tournament originally released on the Wii U near the end of that system's life cycle in 2016. Now, Pokken gets a second time to shine with the Nintendo Switch's Pokken Tournament DX. Fight for your right to Poké -- Again! The fighting game genre is one I am definitely not adept in. Quite the opposite, actually. Despite my love of the genre and the zany cast of characters, explosive action and awesome combos that these games deliver, I just can't wrap my head around them (or I guess, "my fingers around the controller to hit all the required buttons", in this case). 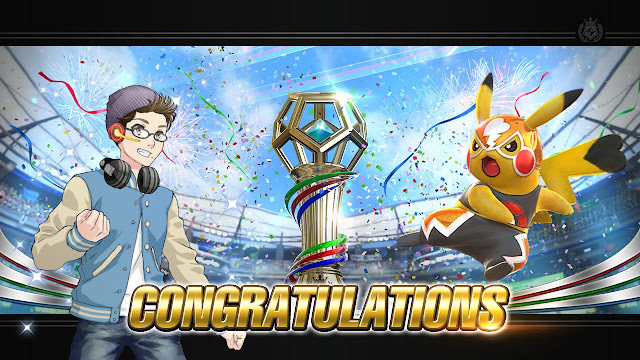 2016's Pokken Tournament on Wii U was one of those fighting games that I could actually hold my own in, which definitely didn't hurt my thoughts on it. Nearly two years later, and I have returned to the game with this Nintendo Switch port of the game, Pokken Tournament DX. With more Pokemon to get skilled with and more modes to master, is Pokken Tournament's Switch port worth checking out again? Pokken Tournament DX is an atypical fighting game in that it sometimes takes place in a 3D arena while on other occasions occurring on a 2D plane. These two different planes are known as phases. Battles begin with opposing Pokemon facing off in a wide open arena, able to circle around one another and avoid attacks. When one Pokemon deals enough damage through a specific type of attack, what occurs is a Phase Shift, changing the battle dynamically from a 3D one to a more traditional side-scrolling 2D encounter. Phase Shifts regularly occur in battle, and they tend to result in lots of HP being depleted by the opponent on the receiving end of it. With a fiery and fast punch to the face from Blaziken, Lucario goes stumbling backward in pain. 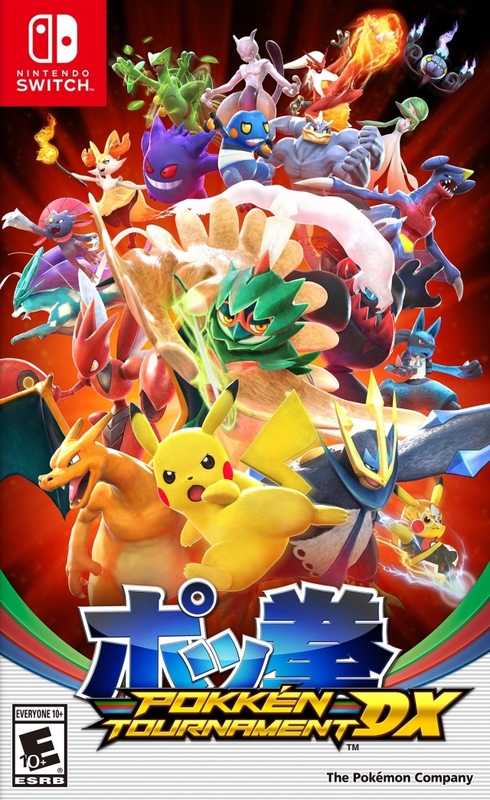 The game's 20+ Pokemon (with this deluxe version introducing several new Pokemon into the mix like the arcade version's exclusives, Scizor, Empoleon, Croagunk, and Darkrai, as well as the Switch exclusive Decidueye) each feature their own repertoire of moves, ones great for smashing through defenses, ones that are perfect for setting up Phase Shifts, and much more. Learning a given Pokemon's move set is imperative to earn that coveted "W" in the win column, and if you find a Pokemon that you like, you should think about sticking with it to improve your comfort level with that Pokemon. Or you can play like me and switch between Pokemon at your leisure, which is just as fine as an option thanks to the helpful tutorial mode, which not just doles out the basics of Pokken Tournament DX's rules and controls, but it also supplies you with a set of moves and combos for each Pokemon you use in a safe practice setting. The arrow-aiming Decidueye is an exclusive Battle Pokemon in this version of Pokken Tournament. Pokemon like the mascot of the series, Pikachu, and his much more mobile and technical fighting counterpart, Pikachu Libre lead the charge (literally, with their electric attacks) with speed-based attacks, while other Pokemon like Charizard, Machamp, and Garchomp use their power to seal the deal and hopefully the win. Each Pokemon plays uniquely enough (even potential clones like the aforementioned duo of Pikachu and the characters of Mewtwo and final boss of the game Shadow Mewtwo), allowing for a wide spectacle of moves to learn, involved combos to pull off, and timing to get down. Battles are exciting endeavors that really get my pulse pounding and palms sweaty. 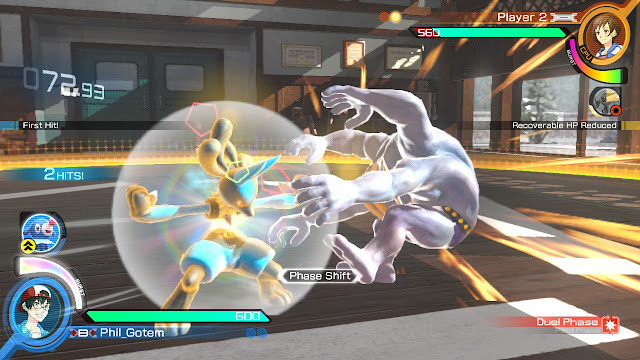 Timing your attacks so you don't leave yourself open for a counter by your opponent is always key in a fighting game, but Pokken Tournament DX furthers the strategy involved by incorporating a rock-paper-scissors aspect to attacking. There are three types of attacks and each one is bested by and strong against another. For instance, a grab can be stopped dead in its tracks by a normal attack, whereas a normal attack will get bodied by a counterattack, and a counterattack will easily be nullified by a grab. This attack triangle means that if you are on the receiving end of a counter, you have much more damage taken off of your health gauge than you would otherwise. Needless to say, it's good to vary types of attacks used and to concentrate so you can counter and react well to your opponent's actions. headache-inducing dropkick from Machamp to Gengar. As battles wage on, your trainer and Pokemon's Synergy gauge increases. When it's full, you can let loose a Synergy Boost, an offensive and defensive boost that puts your Pokemon in an almost Zen-like state, able to ward off most weak attacks without flinching. You can also use your Pokemon combatant's ultra-strong special move once per Synergy Burst, and if it connects, it deals great damage to your opponent. It can be the difference between clinching the current round and creating the start of a marvelous comeback. In addition to the Synergy Gauge, there is also a smaller gauge, the Support Gauge. Before beginning a match, you select from 20+ duos of Support Pokemon. These are Pokemon that couldn't quite muster a full move set to be on the actual roster of Pokken Tournament DX, but still get a role to play in battles anyway. At the start of each round, you pick from one of your two Support Pokemon to assist you when your Support Gauge is full and you press the proper button to call them in. Some have offensive properties while others use defensive or healing ones to help out. A perfect call-in for a Support Pokemon can interrupt your opponent's flow, making a match that was going their way start shifting towards yours. The first time you turn on Pokken Tournament DX, you'll be greeted by an NPC named Nia, who is more of hassle to listen to than a help. Besides being grating to listen to, she has "wonderful" advice mid-battle such as telling you when battles aren't going your way. Thanks, Nia. Wouldn't have known that without your help and without your need to sort of rub that in. Fortunately, you can remove her appearance entirely from battles so you won't hear any of her unhelpful commentary. Other than a quick introduction of the game from Nia, you get to make a character that serves as your avatar. 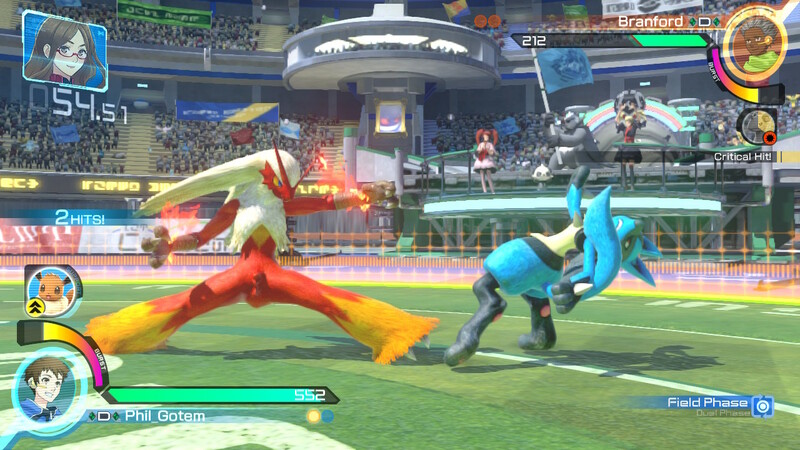 Starting out, the customization options aren't too expansive, but as you complete matches in the Ferrum League, the main single player mode of Pokken Tournament DX, more and more outfitting options are unlocked. Everything from sports jackets to graduation gowns, glasses to monocles, and even sunset backgrounds to accessories like surfboards are available eventually, and they can be purchased with currency earned from battle. As I said, the Ferrum League is the primary mode for those wanting some hands-on time with Pokken Tournament DX before jumping in with the sharks for online play. The Ferrum League features a series of leagues that get progressively more difficult, having you start each league at the 100th rank and earning your way within the top eight. This is performed by winning battles against opponents of varying ranks in sets of five, and after each set, your performance is evaluated and you move up or back in rank. Once you reach the top eight, you enter a tournament to determine who the winner will be. Win that, and you do battle with the current league champion to allow you to move on to the next league. Empoleon isn't entirely new to the world of Pokken Tournament. This piercing penguin Pokemon made waves in the arcade release. As the leagues play out, a story unfolds relating to a mysterious Pokemon dubbed by the people of the island as Shadow Pokemon. This strange Pokemon is causing havoc across the island, and while you're participating in the Ferrum League, you occasionally are forced to do battle against the powerful Pokemon. Thus, you're not just fighting through league battles and ordinary matches of that type over and over again. There are some breaks in the mode for story-related reasons. Score the battle's first hit for some nice and well earned bragging rights! 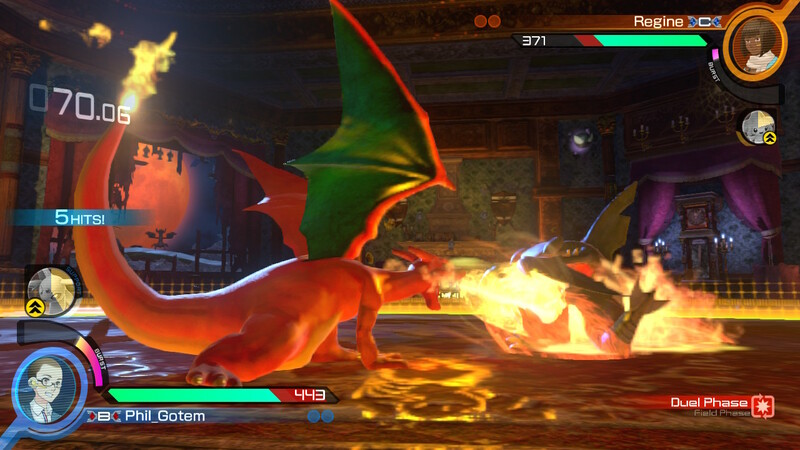 Other modes in Pokken Tournament DX include a versus mode against the AI where you can face any Pokemon at any difficulty on any arena for practice and for fun. There is a new 3-vs-3 mode exclusive to the Nintendo Switch version that pits three Pokemon against another team of three in an elimination-style bout. Two Pokemon face off at once, and when one is defeated, the next on that player's team comes in to take its place. Meanwhile, the opponent's Pokemon must stay in and keep fighting until it either carries the entire team to victory or falls in battle and must, too, be switched out. (Sorry, Marvel fans. No mid-battle character switching here!) A separate versus mode can be played between two local players, either on two different Nintendo Switch screens or in split-screen, another new inclusion in this Switch port. However, split-screen suffers from a spotty frame-rate, so it's not the most recommended way to play with nearby friends and family. I think Charizard mistook Garchomp for a pile of charcoal in this picture. Additionally, there are also Daily Challenges that pop up which by the virtue of their name, change every day. The win conditions are always the same, but the Battle Pokemon or Pokemon team you use is pre-determined. Winning these earns you skill points that can be used on your Pokemon to increase their attack strength power, defensive ability, and Synergy or Support capabilities. Once you've gotten accustomed enough to the controls of Pokken Tournament DX and have developed a nice sampling of skill, you can choose to hop online to battle players internationally. You can play with friends, setting up private rooms that require passwords to enter, or you can try out battles against total strangers in either casual fights or the more tense Ranked matches. Starting in Ranked, you begin at rank E5. Winning battles increases this rank slowly, from E5 to E4, E4 to E3, and when you get to E1, E1 to D5. This allows you to face off against players who are at your skill level so you're not immediately overwhelmed. That's mostly how it works in Pokken Tournament DX, though you get the occasional battle against someone who's way too good for his or her rank who just flat out owns you 2-0. Swing your partner 'round and 'round, Machamp! 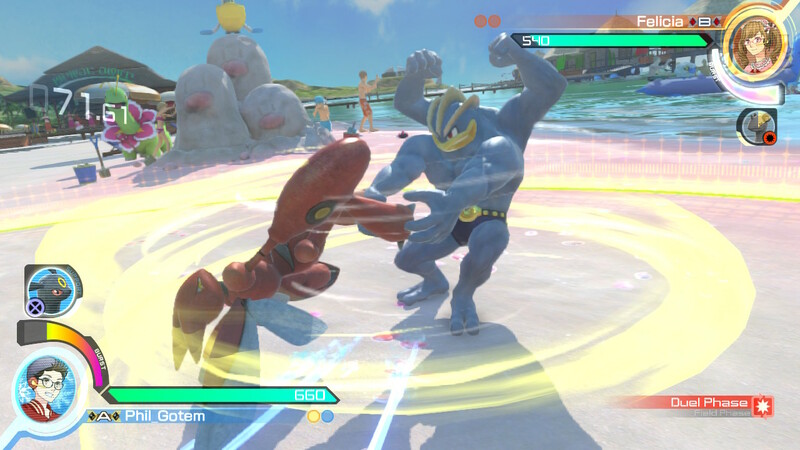 Pokken Tournament DX offers a robust and comprehensive fighting system that possesses a large amount of depth to it, perfect enough to master for fighting game professionals but accessible enough to not leave any other players behind. 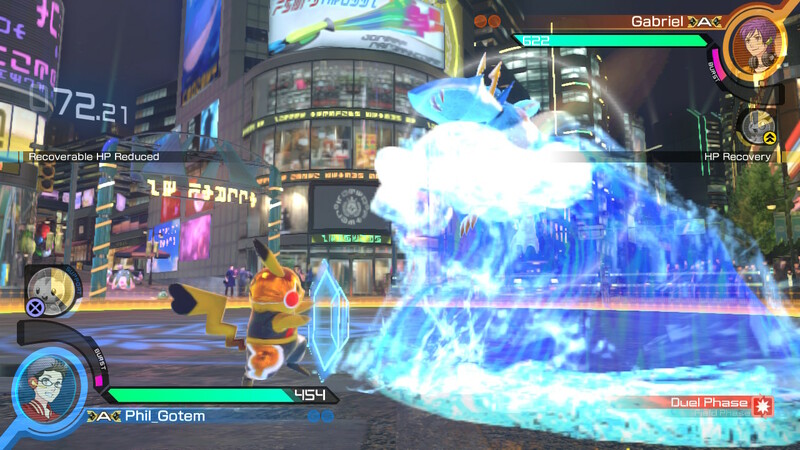 Both fighting game fanatics and Pokemaniacs alike can enjoy Pokken Tournament DX. 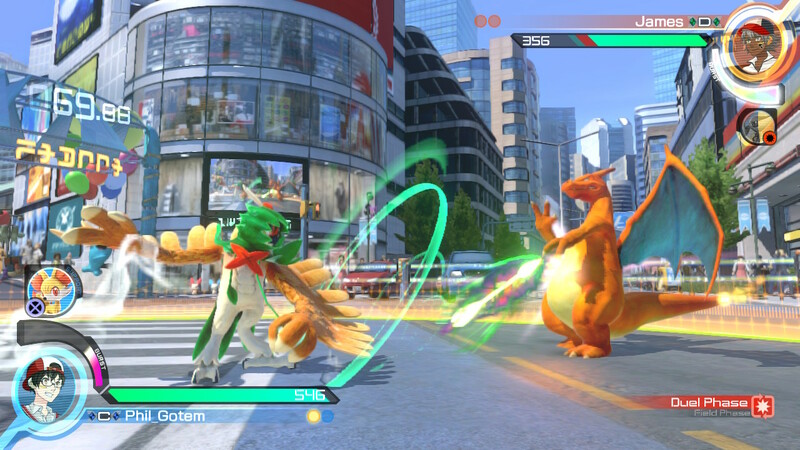 With already released and upcoming DLC in the form of new Battle and Support Pokemon and constant updates, Pokken Tournament DX delivers a fighting game fever that Pokemon trainers the world 'round will want to catch and train their Pokemon to do battle in. the initial two months of 2018 on SuperPhillip Central. I had some downtime to start 2018, so we're combining the months of January and February for this first Review Round-Up of the year. While I was slow in reviewing games, I really got into a rhythm near the end! 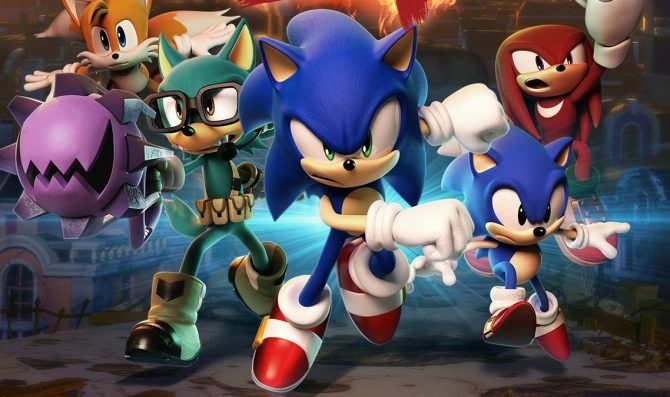 Starting out in January, I took a look at Sonic Forces, where I made my own avatar and joined the forces of good to take down Dr. Eggman. The game wasn't perfect obviously, but it didn't leave a bad taste in mouth like it did so many critics and fans either. I gave the game a C+. Following that was my return trip to Hell with the Nintendo Switch port of DOOM. The game's only gotten better with a recent patch, but at the time I reviewed DOOM, I awarded the game a stellar B grade. Coming out from the depths of Hell, I entered into a swath of games all receiving average or near-average grades: the Super Mario 64-inspired Poi: Explorer Edition (C+), the charming adventure game World to the West (C+), the clever isometric puzzle-adventure world of Vesta (C), and the multiplayer hijinks of Kirby Battle Royale (C+). Last but not least, Fire Emblem Warriors took the crown for featured game of these past two months, earning itself an impressive B grade. I didn't like it more than Hyrule Warriors, but there really aren't any Warriors games I enjoy more than that Zelda take on the formula anyhow! Before we adjourn here, check out The SPC Review Archive to stay up to date on all the reviews posted on this site -- past, present, and future! memorable for many. The game is surely worthy of a mention for these past two months. It's a monumental day for SuperPhillip Central! We've amassed 800 reviews as of this new review on the site! Not a day too early or too late either! A day after my birthday and a day before a new month rolls around. Nice! Here are my thoughts of the Nintendo Switch version of Fire Emblem Warriors! Here's to the next 100 reviews! These warriors are ready to come out and pla~a~ay! Hyrule Warriors was a Dynasty Warriors game that incorporated a myriad of satisfying elements from The Legend of Zelda franchise to create a Zelda Musou that was a pleasure to play. It having a tremendous amount of fan service for those who love the series didn't hurt things either. When the game released and after the hype winded down, Nintendo fans quickly brainstormed what would be another franchise from the big N that would be perfect for the Musou treatment. A clear winner in that debate was Fire Emblem, which recently has become quite popular over the past five years. Apparently, Koei Tecmo and Nintendo both agreed with the fans here, joining together to make Fire Emblem Warriors, the resulting project, a reality. 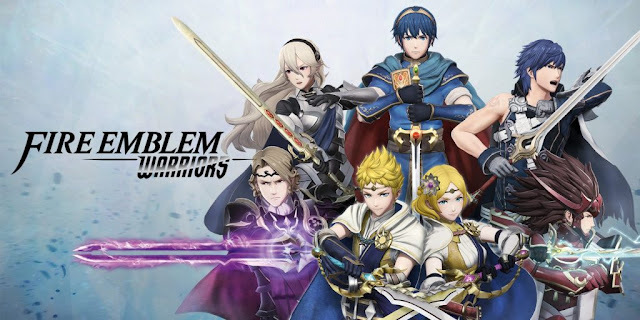 While Fire Emblem doesn't have as much of a draw with the mainstream as Zelda, can one who knows little about Intelligent Systems' series of strategy RPGs still find enjoyment out of Fire Emblem Warriors with its fast-paced action focus? 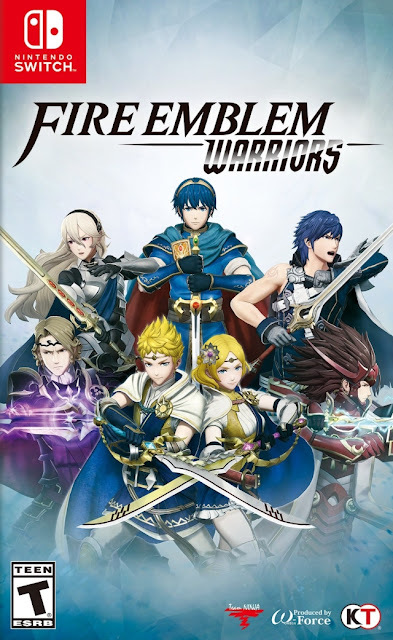 Like any Dynasty Warriors style game, Fire Emblem's take on the Musou genre pits an all-star cast of characters, this time all related to the games of the Fire Emblem franchise, and throws them into pulse-pounding, action-packed quarrels across a great many battlefield. With just a sword, axe, bow and arrow, or lance to your name, the joy of games like this is being able to feel like a one-man unstoppable army, unleashing your might on a plethora of foes, mowing them down by the hundreds with fantastical attacks and combos. Make a path through the opposition like a knife through butter. Most maps require you to secure enemy bases and defeat particular opponents on the battlefield to progress in missions. This is all the while defending your own bases and characters yourself. 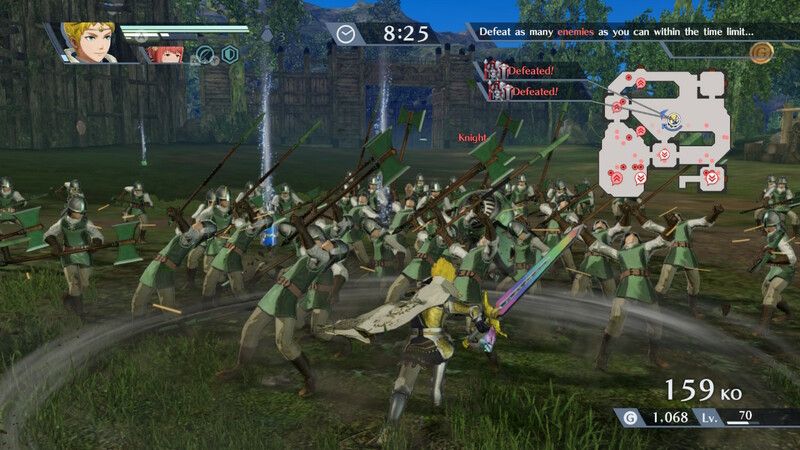 Fire Emblem Warriors makes this process easier by allowing you to command your forces before and during battles. You select a character on your side and set a point of interest on the map screen for them to travel to, such as an enemy location, a base, or a specific grid on the map. You can have up to eight characters on your side at one time, with a maximum of four of them being playable, able to switch between on the fly with the up direction on the Left Joy Con. Having these options opens up new battle strategies, and makes it on harder fights that you're not as easily overwhelmed by the enemy as you attempt to make sense of all of the carnage on the battlefield. Dictating where your units move and what opponents they do battle with can be the difference between a swift victory or a horrible defeat. Many lives were lost to Rowan's blade on that fateful day of battle. Of course, some Fire Emblem trappings go into this Musou take on the franchise, so you can't just send your units willy nilly to battle. Like its patriarchal series, Fire Emblem Warriors uses a weapon triad, which takes a paper-rock-scissors like approach with weaponry. Obviously, instead of using rocks to crush scissors to smithereens -- swords, axes, and lances are the three weapon types used in the game. If you use a weapon strong against a certain opponent, they'll go down with ease, while using a weapon that they can easily defend will make that enemy take a lengthy period of time to whittle their health meter down. Likewise, the weapon triad works against you as well, making it so you can get bodies by certain weapon types if you're not careful, especially if you're under-leveled. Additionally, it's important to consider magic tome users, archers, and Pegasus Knights as well, as archers can immediately take out Pegasus Knights with one or two hits of their arrows while being weak to spells of tome users. As long as Cordelia is out of the way of archers' shots, she's golden in her goal to demolish enemy forces. 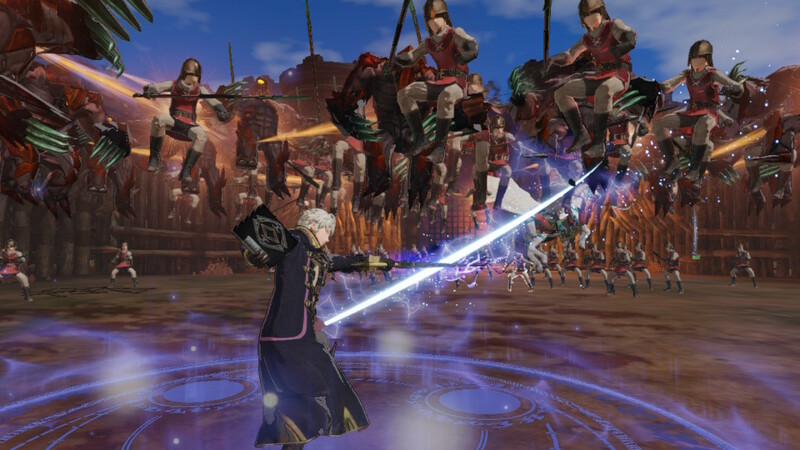 Dynasty Warriors and Musou games seldom have complex controls, and this is also the case with Fire Emblem Warriors. Through a simple series of presses of the X and Y buttons, one for light attacks and one for heavier attacks, you slice, dice, thrash, and attack your way through enemy defenses, all the while carving a path towards victory. As you attack and defeat foes, two gauges increase. One is the Warrior Gauge, which when full allows you to press the A button and unleash a powerful and impressive-looking attack on a group of enemies in the vicinity. It's perfect for clearing a room or surrounding area with ease. With a press of the A button, unleash incredible Warrior attacks like this one when your gauge is full. Furthermore, when the higher powered gauge fills and is used, your character enters Awakening Mode, granting them the power to break enemies' guards effortlessly and build up a huge combo and K.O. streak. Also, when a stronger opponent like a base or enemy captain performs a heavy attack, if you dodge it, a circular meter will pop over their head. If you deal enough damage to empty this meter, you'll unleash a special power attack that will take out a considerable amount of enemy health, perfect for depleting a more difficult foe's health bar more quickly. After battle, you get a tally of rewards given to you in the form of weapons, materials, and money. 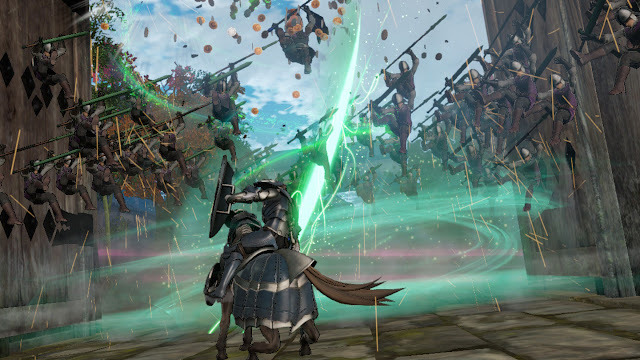 As you progress in the various modes and difficulty settings of Fire Emblem Warriors, the weapons you find from fallen foes on the battlefield and occasionally found after battle have improved stats to them, sometimes offering higher attack power and many slots to store abilities in. 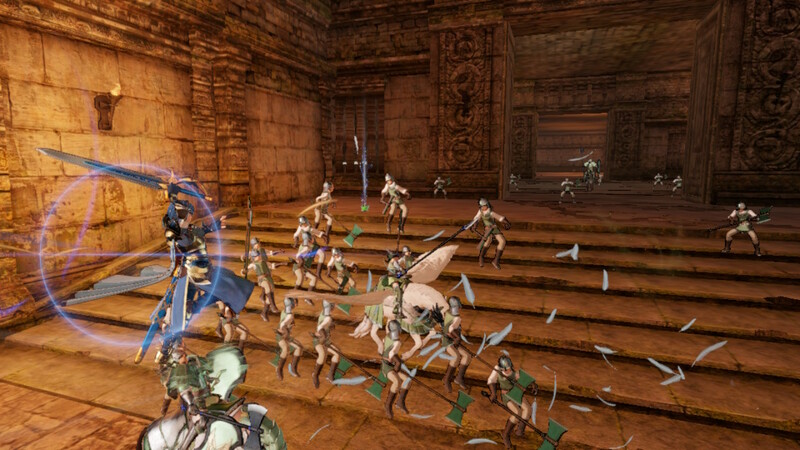 These abilities can range from taking out monster-type enemies in one hit to getting higher defense in battle. Materials have two uses: upgrading weapons and upgrading your characters' skills by using crests. Crests improve aspects of your character such as increasing their combo length, granting them the ability to use healing items mid-battle, being better at defending against specific weapon types, and much more. Fire Emblem Awakening's Chrom isn't here to show off his new armor. That much is for certain. I must say, however, that I wish there was a more streamlined process to upgrade each character in Fire Emblem Warriors. It's not so much an issue at the beginning of the game where you have a limited number of characters to select from, but by the end of the story mode, you have about 20 individual characters, each with their own crests in three categories. I found that after each battle I did I was moving between character page after character page, using new crests to provide new skills for each character or simply checking to see if something new could be learned. It's an involved process, and one that many players will spend a fair amount of time devoted to if they want to have a fighting chance on higher difficulties. 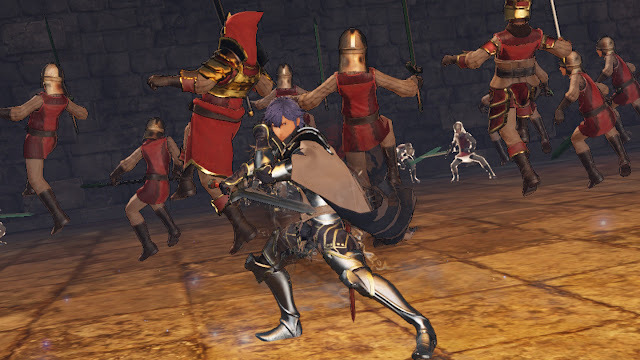 While not as tedious, changing weapons is also something that you will want to do in Fire Emblem Warriors as well. Thankfully, FEW offers the ability to optimize your equipment to use the strongest weapon available for a given character. Still, it only bases that off weapon power and not things like added slot bonuses that weapons also possess. Don't worry, female Robin fans. You can pick that version of Robin as an unlockable costume option. Outside of the story mode, taking up to 10-14 hours to complete if you're not revisiting missions, there is the History Mode which is Fire Emblem Warriors' side mode. However, unlike what Hyrule Warriors offered in side content with its Adventure Mode, FEW's History Mode is much less of a headache. History Mode tells the tale of numerous stories within the Fire Emblem mythos. This mode is played out on traditional Fire Emblem series maps, but instead of each skirmish being a quick one-on-one fight as seen in the FE games, they unfold in Warriors form with different objectives and conditions to consider. Successfully completing a battle might have barriers get removed from the battlefield to access new portions of the History Mode map, or backup forces might be called in as well. Winning a battle also rewards you with a prize, and you get a special prize for completing a mission with the highest grade possible (usually performed by clearing the battle under a set amount of time, while taking low damage, and taking out enough enemies). 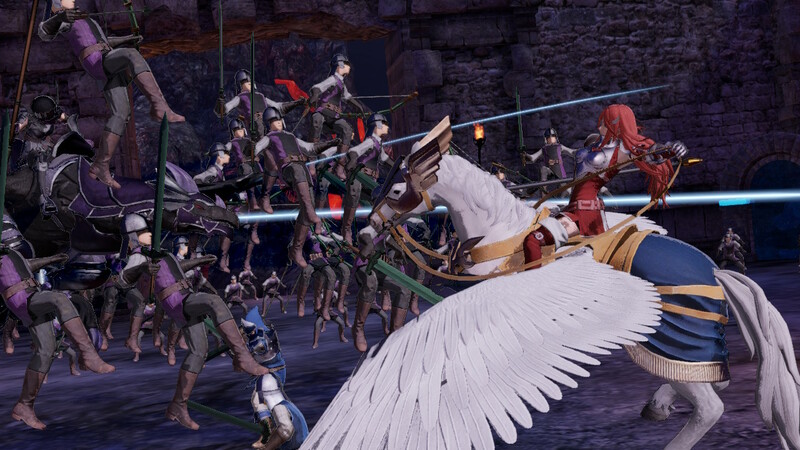 History Mode provides a double dose of the content story mode already provided, bolstering the playtime of Fire Emblem Warriors to astronomical levels. You're definitely going to be getting your money's worth by purchasing this game. Throw in the ability to play with a friend locally and DLC packs for new characters and costumes, and the amount of content is seemingly endless without wearing out its welcome. is still more than playable (and enjoyable, too). Fire Emblem Warriors isn't the most technologically advanced Nintendo Switch game on the market. Textures and environments don't do overly much to make you wish to marvel at them, but the characters do animate wonderfully and have lots of color and vividness to them. While the visuals don't particularly excite, you can use one of two options to run FEW at a higher frame-rate with a lower resolution, or vice versa, which is an option I don't see much on home console releases. Thus, if you prefer 60 FPS with less pronounced features or 30 FPS with more detail, you can get it. Either way, it's nice to have a choice. The amount of foes on screen is also amazing to see, but you decidedly have less enemies to slice through in cooperative play, where the frame-rate is iffy at best. 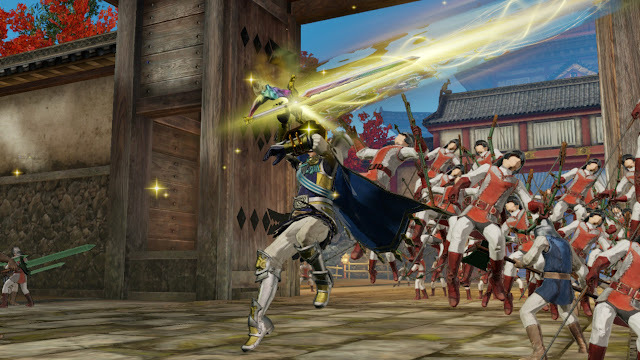 As a series, Fire Emblem has a terrific soundtrack to it, and many of the remixes and rearrangements in Fire Emblem Warriors sound energizing, though some are muffled by all of the voicework and action going on on the battlefield. I think this enemy is regretting saying, "You'll rue the day you ever did battle with me!" 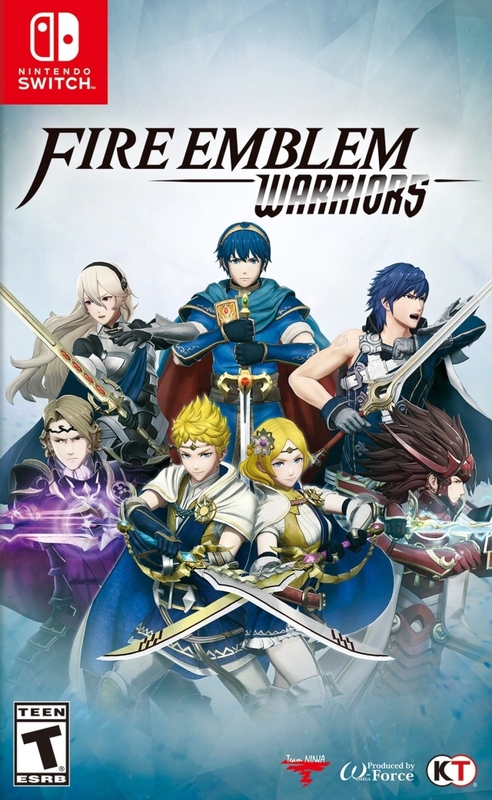 If there's one big gripe that Fire Emblem fans will have with this version of Warriors is that the roster isn't the most remarkable to be found. Only picking and choosing from mostly modern releases like Awakening, Fates, and Shadow Dragon means that the representation for the entire Fire Emblem series is not that admirable -- merely passable at best. Perhaps the developers wished to keep some picks for a sequel, but what is available now from a limited selection of games is rather disappointing to say the least. Fans have made it no secret that they don't care for the small amount of games and characters represented in Fire Emblem Warriors, and I can't help but agree with them on this point. 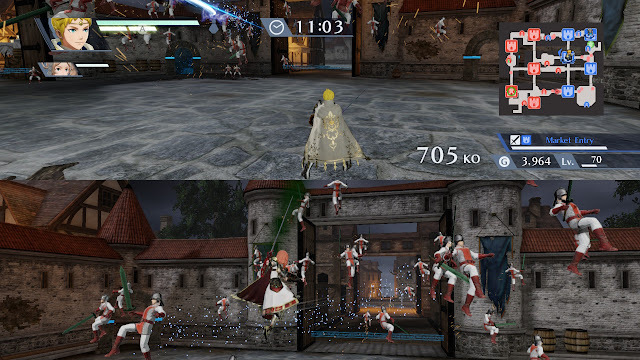 That notwithstanding, Fire Emblem Warriors does manage to be a delightful Musou game that is filled to the brim with content, unique battles, scenarios, and customization options to give anyone a satisfyingly good time. Though some characters play too similarly -- and the selection of characters and games is a bit on the small side representation-wise -- Fire Emblem Warriors doesn't disappoint much when it comes to the unmatched thrill and pleasure of striking down enormous swaths of enemies with a few simple-to-pull-off strikes and stylish combos. Sure, the simplistic combat of the Warriors franchise hasn't much evolved, making the games repetitive at times, but when you're defeating 100 enemies with one Warrior gauge attack, how can you argue? You're a Fire Emblem all-star, after all, destroyer of worlds. It's a special day for me, and no, it's not just because I'm reviewing a new Kirby game on SuperPhillip Central. Today is my birthday, and I've been celebrating with both friends and family all week long. Thankfully, I'm back to posting some on SuperPhillip Central, so let's dive in with Kirby's latest, Kirby Battle Royale! Kirby has always had a strong presence on Nintendo's handheld systems. It's been as true a statement ever since the little puffball premiered on the original Game Boy with Kirby's Dream Land. From there, both mainline adventures, experimental spin-offs, and more have made their way to Nintendo's lineup of handheld devices, from the Game Boy and Game Boy Color to the Nintendo DS and now Nintendo 3DS. Kirby's been especially busy with games on the 3DS. He has built quite a lineup for Nintendo's stereoscopic wonder, offering two big, traditional adventures in the form of Kirby Triple Deluxe and Kirby Planet Robobot, as well as several spin-offs in downloadable form like Team Kirby Clash Deluxe and Kirby's Blowout Blast. Now, Kirby is making his curtain call with one (as far as we know) final Nintendo 3DS entry, and it's in a type of game that the pink puffball doesn't spend a lot of time in: a multiplayer one. 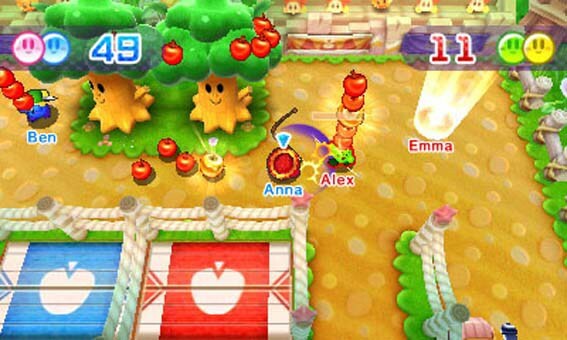 Kirby Battle Royale focuses most importantly on the local and online multiplayer front as opposed to the single player content the series is known for. Is this a solid step for Kirby, or is this battle royale a bust? King Dedede with a cloning device? That can't be good. While Kirby Battle Royale's primary focus is on multiplayer, that isn't to say that there isn't anything for those who want to play by themselves with some single-player content to invest in. 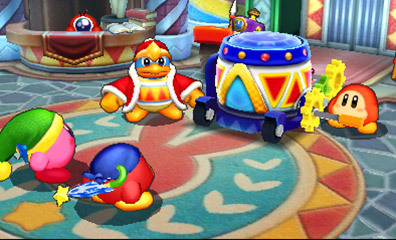 The main story mode, Dedede's Cake Royale, puts you as Kirby and occasional AI teammate Bandanna Waddle Dee through a series of events, showcasing all ten battle events within Kirby Battle Royale. Starting off in the Beginner Cup, you face easy opponents, and the objective here is to earn enough points through scoring first place on each event to fill a progression meter. Once that is full, you get the right of taking on the qualifier round. Win that round, and you move on to the next cup. Beat all the cups and you win Dedede's Cake Royale. As each cup goes on, new events are introduced, opponent AI grows stronger, and conditions per match change to make it harder on you (such as limiting what ability you can use, for instance) -- though Dedede's Cake Royale never becomes too taxing to beat in its 3-5 hour campaign. The biggest worry here is some repetition and a bit of a grind in playing the same events over and over again with some small changes. Kirby practices to one day star in his own Legend of Zelda entry. Completing Dedede's Cake Royale unlocks three new playable characters in addition to the all of the Kirby abilities that players can choose from. As matches are played, you gain currency to spend on a myriad of rewards in the collection shop, such as new abilities to play as, headgear to wear both online and off (each character or ability has four to choose from), special boost orbs that help out mid-round, and music to listen to in the options menu. Currency is earned not just from the previously mentioned means of finishing and winning matches, but also through satisfying given medal conditions, of which there are 60 total, serving way more than just mere achievements. These range from event-specific tasks like KO-ing all enemies simultaneously in a Battle Royale fight, to never getting caught by a ghost in Coin Clash. A notable currency award is rewarded for each medal collected, making for some easy means to purchase new goodies in the collection menu. The abilities in Kirby Battle Royale are plentiful with 16 in all. 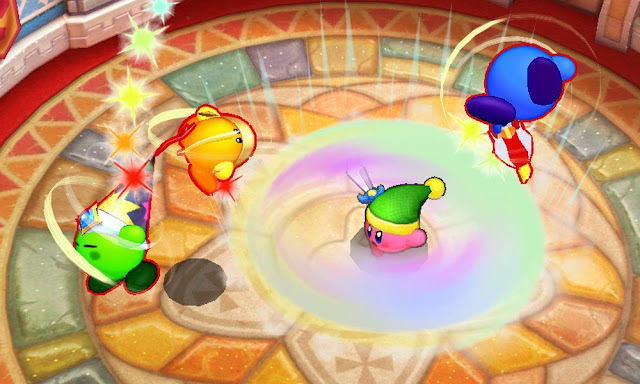 The amount of attacks with each isn't as wide as a more modern Kirby game like Return to Dream Land, Triple Deluxe, or Planet Robobot, but there is a good array of attacks to be found with each ability, whether the Doctor ability's pill-tossing, the Spear ability's flurry of spear strikes, or the Ice ability's freezing properties. It's common to stick with a favorite or two, but Battle Royale does encourage using different abilities depending on the battle event and circumstances. 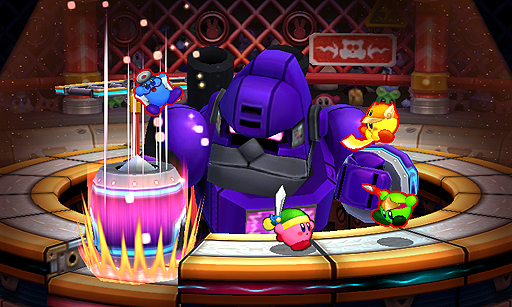 For instance, Whip Kirby is terrific for grabbing up rockets to toss into cannons in the Robo Bonkers event. Robo Bonkers decides to bring down his signature weapon for some Hammer Time. The ten battle types in Kirby Battle Royale run the gamut from free-for-all contests to 2-on-2 skirmishes. They range from collecting apples from Whispy Woods and throwing them in your team's goal to chucking as well as hitting as puck into as many foes as possible to score points in one deadly game of ice hockey. Different arenas per event bring some variety to each battle type, offering more than a "seen it once, therefore I'm done" type of experience to events. Whether it was collecting ore and tossing it into a train for points, beating on a gigantic mechanical monkey to see who can deal the most damage to it, or stealing chips by attacking other enemies via fists, punches, or charges with a freaking hover bike, the battle events were enjoyable with none of them being ones I dreaded playing. Forget what they say about an apple a day. Stockpile as many apples today as possible, Kirby! 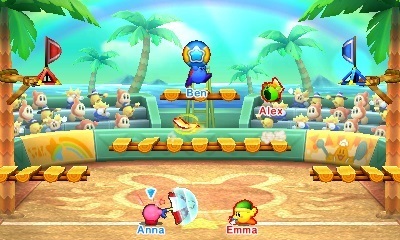 While Dedede's Cake Royale and acquiring medals requires you to play against the AI for the most part, it's local and online battles where the real fun of Kirby Battle Royale is concentrated around, particularly local battles. You can play with up to four players, being everyone has their own 3DS system, but you need not all have a copy of the game thanks to the magic of Download Play. This means just one of you four (or two, or three, if you have a smaller party) needs to have a copy of Kirby Battle Royale to share the fun with everyone else. Being able to yell, shout, scold, and scream at your best buds and family members is insanely fun in a local context, something definitely missing from playing online. Speaking of online, Kirby Battle Royale leaves much to be desired here. While the online has indeed improved in showcasing much less lag from the game's original launch a month-and-a-half ago, you're still stuck playing Ranked matches only. Trying to set up anything with faraway friends is best left for setting up in the middle night and not only hoping that you find each other, but that two other people find you so you can start a match. With Ranked, you earn points for wins, and when you level up, it's another way to earn currency to purchase collection menu goods. Modern Kirby games are always bright, bouncy, and colorful, and this trend continues with Kirby Battle Royale. The visuals are nice and vivid, and effects like explosions and sword swipes really pack a visual punch. Unfortunately, those hoping for such sights to pop out at players will be out of luck, as with recent Nintendo releases, Kirby Battle Royale can only be seen in 2D. Still, what comes out of the artistry and appearance of the game is quite lovely to look at all the same. Another trend with Kirby games is a cute, stellar, and wonderful soundtrack, and again, this trend continues with Kirby Battle Royale as well. Looks charming and pleasing visually. 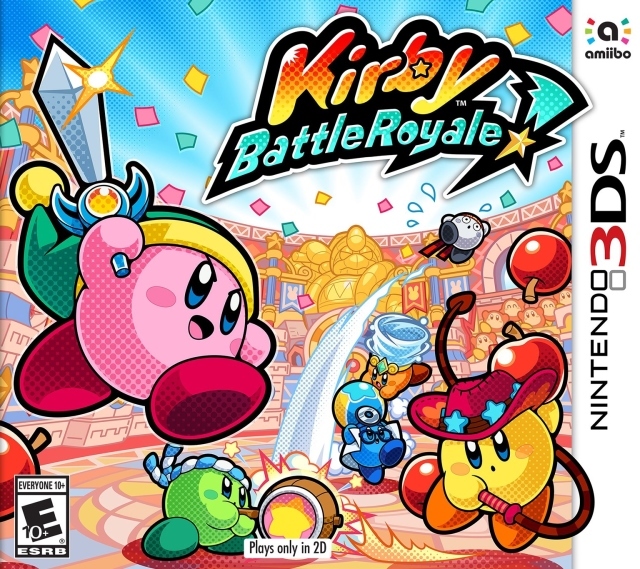 Battle Royale is certainly a Kirby game alright! If you will enjoy Kirby Battle Royale, my answer is that of two words: "It depends". What I mean by that is that if you have access to friends and/or family members who own their own Nintendo 3DS systems and would love to play the game with you, then Kirby Battle Royale is more than worth it. However, if you are playing the game for the single-player content and occasional online battles, then you probably won't get as much out of the game as someone with more options to them with a local gathering of players. For me, Kirby Battle Royale saw plenty of playtime on my Nintendo 3DS -- thanks to great local play and the desire to unlock content -- so I can't help but recommend it with the conditional "it depends" warning. With mere days left in the month of February, let's get to some final posts for the month! The first is a review for a cross-platform digital release seen on Nintendo Switch (the platform I'm reviewing the game on), PlayStation 4, Xbox One, and Steam. It's Vesta, developed by Final Boss Games and published by EastAsiaSoft. Let's take a look, shall we? Child labor laws be damned. While other platforms with digital storefronts have reached a point of saturation, one where average video games often get overlooked by the higher quality of everything else (making them all the more difficult to sift through from the rest), the Nintendo Switch is still (barely) less than a year old. Although it hasn't slowed down with its steady array of weekly eShop releases, it's much easier to gleam what games are coming out each week since the amount of total games on that marketplace is much smaller. However, this is soon becoming an issue with the Nintendo Switch as well, and with it, so does the issue that games like Final Boss Games's Vesta will face on the Nintendo eShop like it has on other digital storefronts -- too much competition and little attention. That said, although Vesta isn't as big of a name as your Rocket Leagues or Stardew Valleys, is Final Boss Games's effort worth your attention regardless? Careful, as one hit from an enemy and it's lights out! Vesta is an isometric puzzle-adventure game that has you controlling one of two characters through a series of gradually-more-perplexing, puzzle-filled floors, sprinkled with the occasional boss encounter to overcome. You control the main character, a precocious young girl named Vesta and her helpful robotic droid companion. Each has their own use and abilities in the game, and many times you'll need to have them partner up as well as split apart to solve the puzzles, roadblocks, and challenges put forth in their mutual paths. The main goal of each floor in Vesta is to acquire power sources to charge nearby environmental objects such as doors, platforms, and escalators -- to name a few. The order of turning these objects on is important, as not to get stuck on the current level, thus having to restart the entire floor. (An annoying problem to be faced with in later floors when these levels take quite some time to solve only to have to begin them all over again from a mental misfire.) By the end of each floor, you need to have three power sources available to you to open up the elevator to the next level. This means carefully planning which power sources you take from different terminals in a way that you can still make it back to the exit of the floor with the required amount of power necessary to progress. This is not the droid Vesta's looking for. Both the girl and her robotic buddy have their own uses. For instance, the robot droid can pick up the girl and toss her across small chasms as well as fire missiles at enemies, temporarily stunning them. 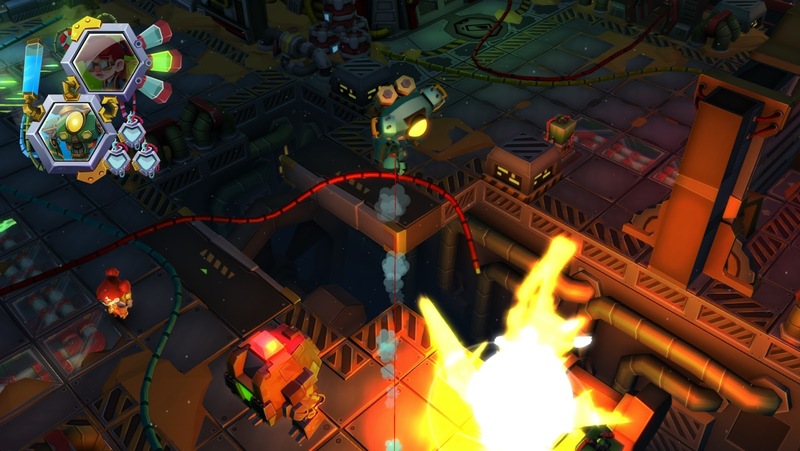 As the enemies are stunned, the little girl can quickly run in and acquire their power sources, not only defeating them but also accumulating yet another piece of power to be used on a terminal in the level. Meanwhile, the girl is much more mobile and smaller than her robotic counterpart, giving her the ability to enter small, narrow compartments of levels that the robot cannot fit through. Aiming with Vesta's robotic buddy is less than amazing. 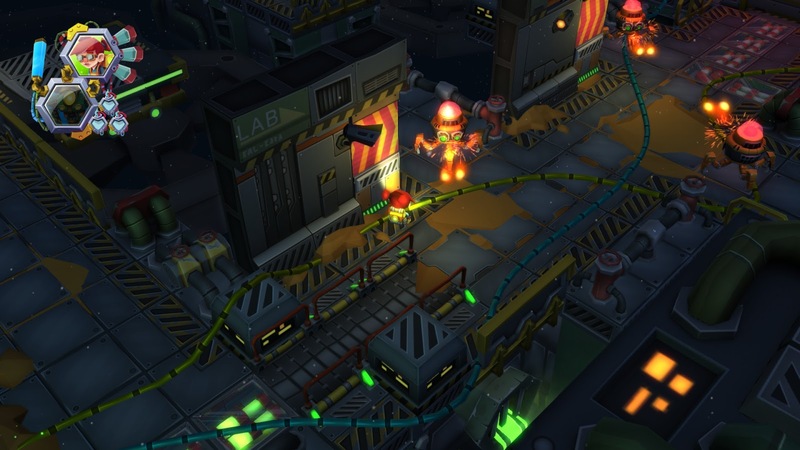 These unique abilities of both characters allow the level designers and creators to continually force players to split the girl and robot up for various interesting gameplay possibilities. 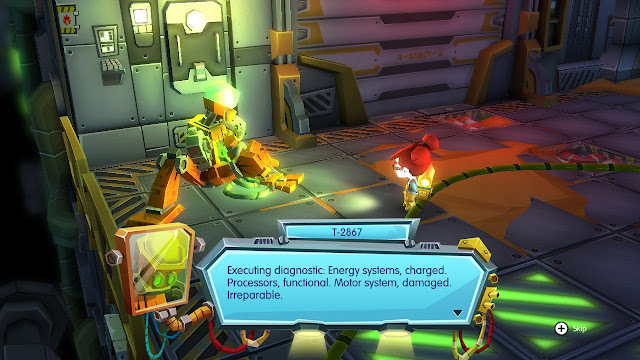 Levels can get rather complicated and involved regarding what a given player needs to do to solve them, such as which door to open first, which power source to place in what terminal, and the order of events deemed necessary not only just to reach the goal but to reach the goal with the necessary amount of power cells. 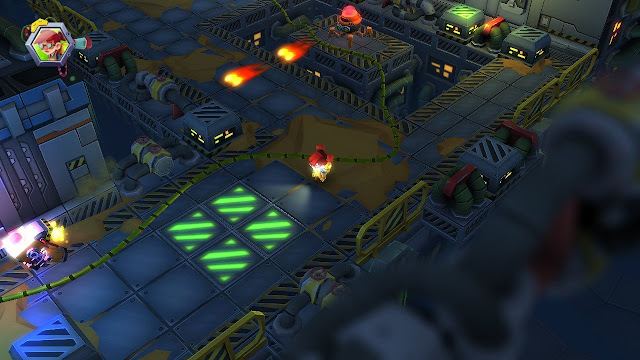 This is performed through creating clever shortcuts that allow one or both characters to bypass areas they otherwise would be unable to enter, or to craft new ways of making it around floors in order to lower the amount of power sources needed to get through the given level. It's rather smartly done and designed. Now, while the levels and the puzzles that are packed throughout them are pleasantly designed to my pleasure, what isn't as well done in Vesta are the controls, which I deem a bit clunky in their execution. Many early deaths and level failures occurred from misjudged angles and less second errors with moving the control stick, ending up in seeing my floor progress wiped away in an instant. Sure, there are checkpoints on floors, but these few and faraway in-between. It makes wanting to hunt for secrets in levels unappealing when you perform the hard work of discovering them and collecting them, only to lose progress from a cheap, control or camera angle-related death, thus forcing you to acquire that floor's secrets once again. If you're looking for visual variety, you won't really get it in Vesta. More positively, I can say that Vesta is a pretty lovely looking game. You won't get a lot of bright colors from the game, as the majority of it takes place underground with darkened, earthy colors and subterranean sewer hues, but what color there is in the game is vivid enough. Animations don't go too far past the bare minimum, but what there is here is serviceable. On the other hand, I cannot tell you anything about the sound and music other than it is very forgettable -- hence why I couldn't tell you anything else about them. The noise is just there, and that's rather unfortunate. Vesta won't make my list of must-have games for the year, but at the same time, this isometric puzzle-adventure game won't make my list of games to stay away from either. Simultaneously, it's not the worst and it's not the best game I've played so far in 2018. Like my opinion of the game's sound earlier in this review, Vesta is just there. It's neither overly special or abundantly awful. For a double-digit price, though, perhaps perspective players out there should seriously consider if a game that is just "average" is worthwhile enough or not. 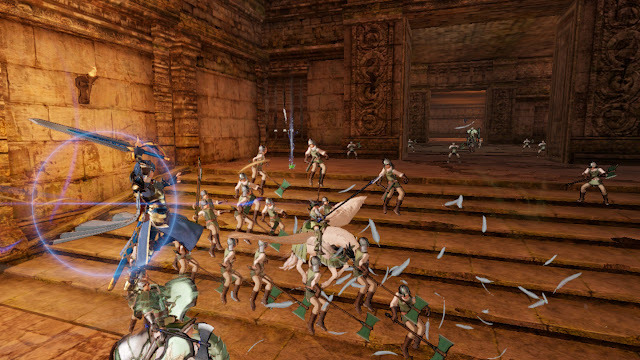 Review copy provided by EastAsiaSoft.